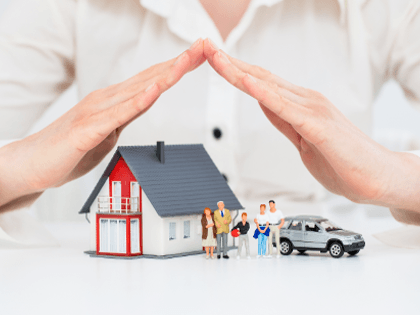 As one of Missouri’s largest independent insurance agencies, NEC has access to more than 30 property/casualty insurance carriers, including some of the industry’s most distinguished names. Our volume gives us the buying power to provide coverage at extremely competitive prices. Just as important, NEC has the resources to deliver exceptional service. While we are located in Pacific, our reach extends to St. Louis, Jefferson City, Kansas City and throughout Missouri. Whether it’s helping negotiate complex contracts or issuing simple certificates of insurance, our experts are committed to total client satisfaction. Providing for your own secure and comfortable financial future requires more than just a pension plan and good intentions – it demands expert planning. At NEC, we design custom-designed asset management, investments, and wealth accumulation plans for our clients that aim to yield optimum benefits, both immediately and in the future. Whether you are a business owner, executive, or professional, NEC Insurance Inc.’s financial professionals can help you develop comprehensive risk management programs that incorporate both property/casualty and financial strategies. If you would like to explore how NEC Insurance Inc. can assist you and/or your company, please contact us to arrange a meeting, or to learn how we can help you. NEC Insurance Inc., assists business owners and individuals by developing comprehensive risk management programs. These programs incorporate both property/casualty and financial strategies to protect clients from the full range of physical and financial hazards. At NEC, our foremost goal is to meet our client’s needs with the right insurance solutions and exceptional service.